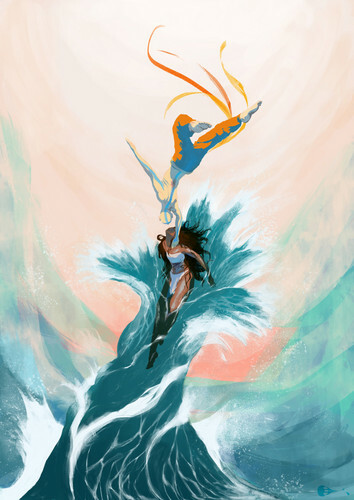 Where Water and Air Meet (Kataang). . HD Wallpaper and background images in the Avatar - La Leyenda de Aang club tagged: avatar the last airbender aang katara. This Avatar - La Leyenda de Aang fan art might contain signo, cartel, texto, pizarra, letrero, ramo, ramillete, ramillete de flores, and ramo de flores.